It’s Saturday, and you have errands. First stop is the supermarket, where you browse shelves teeming with enough options to satisfy any culinary desire. Next stop, the mall, to find clothes for your new job. If you don’t find what you need there, an endless variety is only a couple of taps away on your Smart phone. Your day may end at a restaurant, or a bar, or a movie theater, where you’ll eat, drink and be entertained based on your particular likes and dislikes. To get to all of these places will require you to drive, and here is where your choices end. You will fill your tank with gasoline, at a per-gallon price that’s set by a non-negotiable set of factors you don’t understand, without access to alternative fuels that could be cheaper and more efficient. And you’ll do it unquestioningly — for no other reason than that’s how it’s always been done. 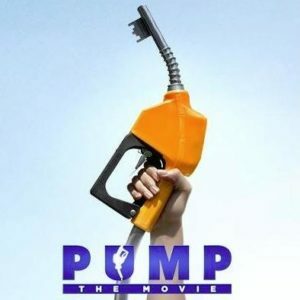 The film “Pump,” screened Oct. 21 as part of the Clark University President’s Lecture Series, chronicles the United States’ century-old addiction to oil, advanced by the collection of corporations known as Big Oil with the assent of the government. 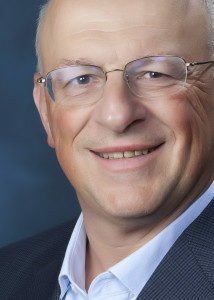 Joseph “Yossie” Hollander is founder and chairman of the Fuel Freedom Foundation. “Pump” traces our reliance on fossil fuels to John D. Rockefeller’s founding of Standard Oil, and the resulting monopoly of oil companies, which, in tandem with car manufacturers, actively destroyed the electric trolley system and have beaten back attempts to introduce alternative fuels. Today, as former Shell Oil CEO John Hofmeister notes in the film, oil “lubricates the economy,” and is used in most consumer materials, from plastics to medicines to carpeting. The film points out that Americans equate personal mobility with freedom, hence the construction of freeways to get around the country, and the subsequent building of suburbs and malls, all resulting in a consumer-based culture. The offshoot is that rising oil prices are tied to rising unemployment and then recession, an economic cycle that has repeated itself since the oil crisis of the 1970s. That automobile ethos is expanding to other countries, especially China, whose expanding economy has created a new middle class with an insatiable demand for cars. In fact, cars are such a status symbol in China that they’ve become a bargaining chip for men and women who are looking to marry. Alternatives to oil do exist — among them, electricity, grain-based ethanol, and methanol, which can be made from wood and trash. “Pump” notes that Brazil has largely weaned itself off oil by offering alternative fuels, and by producing “Flex” cars that run on a number of different fuels. This Flex technology is available in many U.S. vehicles, but the federal government, in the grip of the Big Oil lobby in what the film describes as “a conspiracy against the free market,” has made it difficult to adapt cars to use anything but gasoline. In a question-and-answer session following the film, Hollander urged local action on measures to give the consumer more fuel options. The answer to the current monopolized system of fuel supply and allocation, he said, is to enhance competition. Hollander is no stranger to Clark University. He is a supporter of Chapman University’s Holocaust program, which has hosted post-docs from Clark’s Strassler Center. A son of Holocaust survivors, he spoke about the Fuel Freedom Initiative several years ago at the center.